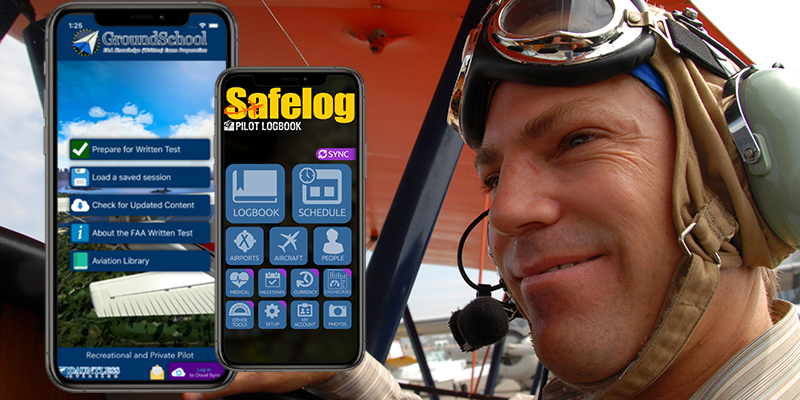 Here is a list of our aviation titles for iPhone, iPad, and iPhone Touch, avaialble via the iTunes AppStore. We've worked hard to make these apps that help you reach your aviation goals. These apps are feature rich and easy to use--we pay specific attention to ease of use. What's more, our apps are generally natively multi-iOS-platform supporting, meaning that you can purchase one app and use it for your iPhone and/or iPad (that are connected to the same iTunes account) and they will naturally fit the screen in all cases. iPhone / iPad / iPod Touch Titles Now Avialable! * All purchases are ultimately subject to the terms and conditions of the Apple iTunes AppStore. By "natively multi-device", we mean that most or all of our apps have been designed to work in a "natural" size on either larger screen device such as an iPad tablet or a smaller device such as an iPhone or iPod Touch. It is our general policy to provide maximum value for our customers by providing all versions in one package at a single low, competitive price. Per our understanding of the iTunes AppStore terms and conditions at the time of this writing, this means that you can, for example, make a single purchse of one of our apps via the iTunes AppStore and then install it on both your iPhone and iPad as long as both are connected to the same iTunes account and your account is in good standing. Again, for the exact details of this, consult Apple iTunes AppStore terms and conditions, however, in general, this also means that when you purchase your next iOS device, such as your next iPhone or iPad, you will be able to transfer your purchased apps to the new device as well, again, as long as you are using the same iOS account. Please note that while in general we work to keep our apps up to date given various technology changes, our claims of "naturally on various devices" does not imply that all the graphics in each app is necessarily scaled to the maximum pixel density of the latest display technology. Our goal is to provide quality, easy to use products. We're reasonable and nice people and we hope that you are too -- please ask questions if you have them in advance. We offer a very generous deal but we also operate under the limitations of the various app stores / app markets.